New to Looking4, this budget Park and Ride service will ensure you arrive to your desired Heathrow terminal on time, with the added bonus of keeping your car safe from the elements. Park up at the secure location and see the secure storage facility for yourself. Your car won't leave this parking facility. The car park is patrolled 24/7, has CCTV and the Park Mark award for safer parking. Drop the key off at reception then use one of the free shuttle buses and transfer to Heathrow. 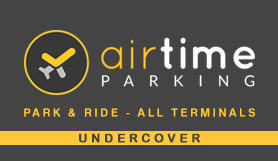 Airtime offer a friendly service, whilst also providing an economical and secure parking option.